Xiaomi Mi Band 2 XMSH04HM firmware was updated today to v1.0.1.50. 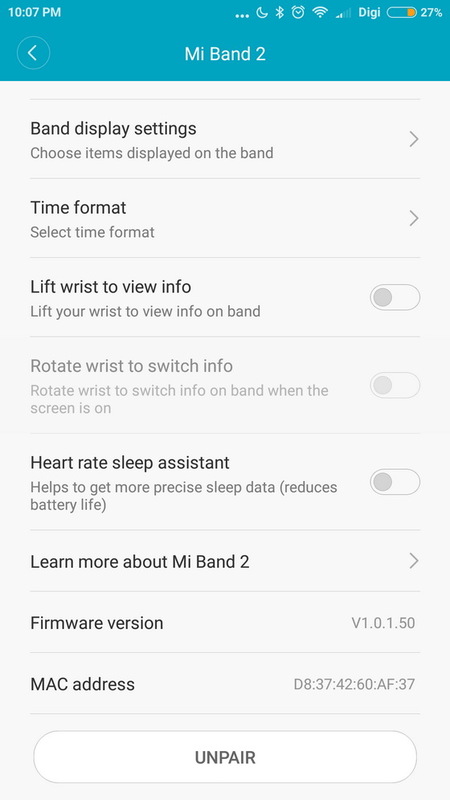 To update the latest firmware on Xiaomi Mi Band 2 XMSH04HM smart bracelet you have to install latest version Xiaomi Mi Fit Android Application latest version 2.4.2 from here. Find the new firmware and make the update. Xiaomi Mi Band 2 previous firmware was 1.0.1.47.